Auckland- (sometimes Paris-) based photographer Harvey Benge tells us who he bumped into at the latest edition of the international photography art fair, Paris Photo. 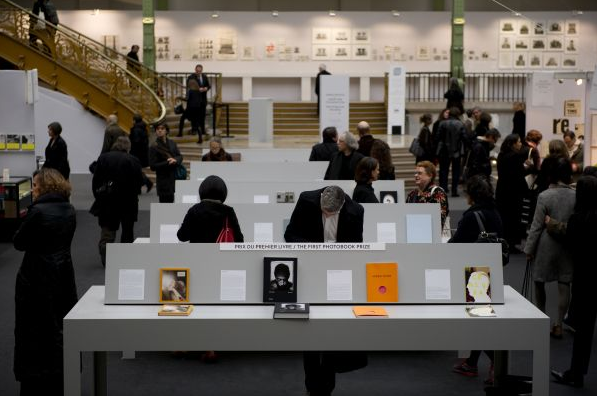 Without doubt there is no better photo art fair than Paris Photo. There's something for everybody. For me it's not so much the work on the walls. I'm a photographer and writer, not a collector, and besides the price tags are too rich for my budget and I've run out of wall space anyway. Then there are the photobooks. With Steidl and MAC alone that will keep the average photobook collector running on a high for some time. Paris Photo for me is all about the people. Despite the fact that everybody is doing it, the photo world is very small and there is a feeling that everybody knows each other. The pleasure is in hanging out and renewing friendships and meeting new people. Todd Hido on the lookout for new books and later at his gallery show opening. Dewi Lewis and Caroline Warhurst to chew the fat about publishing. John Gossage with his latest bookworks and his show opening at Galerie LWS. Lewis Baltz and Slavica Perkovic book signing at librarie Mazarine. Stephan Zaubitzer to touch base on his LA cinema shoot. David Kregenow searching for more photographers to shoot. Terri Weifenbach and an unexpected meal with Yasunori Hoki. Jeroen Kummer and a productive talk about book design. Jimmy Tomenou from librarie agnes b. Jeffrey Ladd with the latest from errata editions. Sebastien Girard with his stunning new book, Strip - o - Gram. David Bennewith, NZ designer based in Holland. Tim Clark from 1000 Words photography. Aron Morel from Morel Books, London. Xavier Ribas, photographer and photo-educator whom I hadn't seen for 12 years or more and a gift of his new book Nomads. Jim Cooke from Brighton University photography department. Diane Dufour directrice of le-bal. Christian Patterson. Gerry Badger. This may appear to be name dropping. Perhaps it is. But I simply wanted to make the point that Paris Photo is about making connections, learning, and hanging out with people you like and respect. It's about luck too. Sitting home and looking at the wall isn't going to get you anyplace, but by turning up at Paris Photo surprise connections and opportunities will occur. As Woody Allen says, 90 per cent of life is showing up. And he's right. 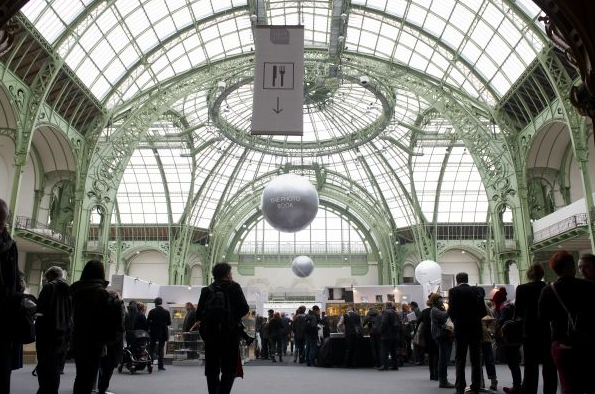 So see you at Paris Photo 2013, Grand Palais, 14 - 17 November. Or if you feel so inclined Los Angeles, 25 - 28 April 2013. You can go to the Paris Photo 2012 site here. Read more of Harvey Benge's ideas on photography, art and other subjects of interest at his blog.